Software perform every single task that is visible, from the practically mundane to extremely high-end. However, although many software are free, most of them are paid. Your computer must be using an operating system like Windows or Macintosh which is paid, most widely used MS office software which is paid. Most users tend to move towards paid software thinking that just because they are paid, they must be better and either buy or use pirated versions of them. Pirated versions usually come with their own drawbacks, the major one of them being that you receive no support from the developer at all, be it security patches, any sort of help or just bug squashing. Also, most pirated cracks and keygens contain malware, and the user just scans them with an antivirus that itself is pirated! That is why here, we will be suggesting some free alternatives to the most popular paid software which work as well – if not better as their paid counterparts. What you think you want – Windows. What you might just consider – Ubuntu. Ubuntu – Most of us are now aware of this as this is the most popular Linux distribution out there and best of all, it’s free! However, Ubuntu and other Linux distributions are not without their limitations with the biggest one being user friendliness. Granted, Ubuntu is a big step forward from earlier Linux versions but once we begin using it, we quickly begin to miss the good old Windows. However, it still offers a lot considering it is free and open source. Right out of the box, you get LibreOffice, a free MS Office kind of thing, Mozilla Firefox as your Internet browser, an Mp3 player (This option has to be ticked during the setup) and other basic software. Also, Linux due to its small market share is almost completely free from malware of any kind. Other than that, if you require any commands help, you may refer to our useful commands for Linux section or visit the ever active Linux forums. Chrome OS from Google is also one of the upcoming open source operating systems to hit the market. It is based on cloud computing with tight integration of all your data with the cloud. What you think you want – Bitdefender, Kaspersky, McAfee, Norton. What you really need – Avira, AVG, Avast. The most common complaint seen in a Windows user is that they get infected with malware and spyware pretty soon. People therefore rely on pirated security suites which may very well be themselves infected with viruses and act as false alarms. 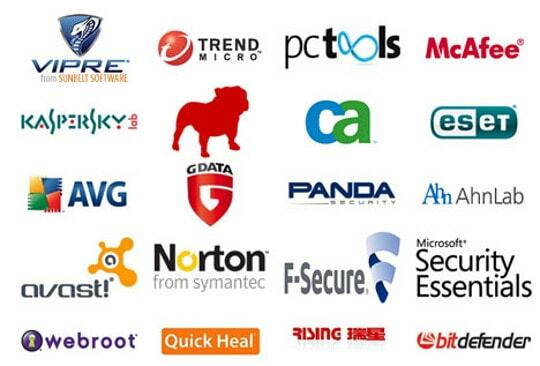 Free security software like Microsoft Security Essentials may very well solve the problem. However, Microsoft Security Essentials is only available in Genuine Microsoft Windows so for Linux and “patchy” versions of Windows, we can use Avast, Avira or AVG antivirus. The limitation here is that these free security software are a little low in features but for the average user, these should be enough. Still, this is the only place where we’d recommend a paid software and that would be the Norton Internet Security Suite. It is the winner of AV Labs tests for a consecutive 2 years and it is stuffed with features which you can very well check on the official website. What you think you want – Adobe Photoshop, Corel Draw. What you really need – The GIMP, Paint.Net. Adobe Photoshop is the average user’s choice for photo editing and it supports a wide range of functions and advanced photo editing tools. It comes at a very high price which is justified by the numerous high-end applications and functionality. However, the average user does not require any more than basic editing tools like red-eye removal, cropping or photomixing. For all these functions and much more powerful ones also, software like The GIMP or Paint.Net work perfectly. They have enough features, tools and presets to give Photoshop a run for its money; The GIMP even supports PSD file format of Photoshop. What you think you want – Microsoft Word. What you really need – Apache OpenOffice.org. MS Office is most users’ choice of Word Processing Software. In many PCs MS Office comes pre-installed with a trial or full version. 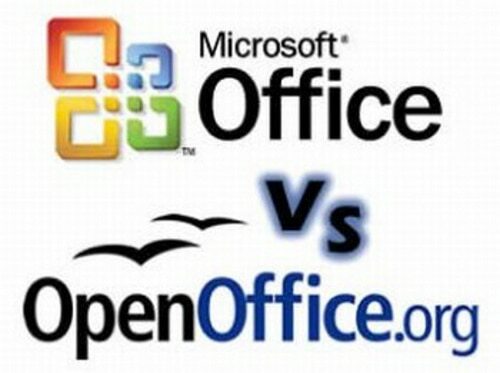 But, for those who rely on pirated versions of MS Office, OpenOffice.org is the best excuse to shun Piracy. It looks, feels and works just the same as MS Office and you get “Word” namely “Writer”, “Excel” as “Calc”, “Powerpoint” as “Impress” and others such as “Draw”, “Math” and base” with also being free and open source. Best of all, it is compatible with all file formats of MS Office so you don’t have to worry about not being able to run a file from a different source. Also, it comes with a relatively small installer size of 130 MB compared to the bloaty MS Office; a portable version for carrying around is also present. Mozilla Thunderbird is also a pretty versatile alternative for MS Outlook, that is, if you need an email client. What you think you want – Sony Vegas, Adobe Premier Elements, Magix etc. What you really need – Audacity, Avidemux. Sometimes, all of us require certain tweaks in video or sounds and we rely on costly tools such as Sony Vegas or Adobe Audition. However, for our requirements, open source tools such as Traverso or Audacity for Sound editing or Avidemux or VirtualDub for video editing should suffice. Traverso is a very capable multi track audio editor for Windows, Linux and Mac users with a very easy UI, with shortcut keys for all necessary functions and a very comprehensive online help file; a CD writing module is also inbuilt which eliminates the need of an external burning application to create audio disks. The capabilities of Avidemux range from simple video editing-cutting scene, which is as simple as Ctrl-X and Ctrl V, to appending videos, to converting across various video formats. VirtualDub is a bit more polished than Avidemux but unlike the former, cannot be run natively on Linux. What you think you want – TuneUp Utilities. What you really need – CCleaner, Recuva. Many people use tuneup software like TuneUp Utilities or Ashampoo etc. which promise to boost up our PCs speed or skyrocket the performance. More often than not, however, these tools slow down the PCs even further, especially on older systems, and the features are no more than gimmicks. 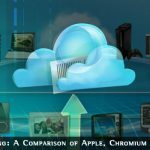 In reality, we believe that the only tune up tool that we need is the freeware CCleaner and Windows’ built in features. Use CCleaner to clean out the junk, registry entries and uninstall programs, Windows Disk Defragmenter for defragmenting and msconfig.exe (In “Run” window type msconfig and hit Enter button) for disabling startup entries. Some other rarely required features such as recovering deleted files can be gotten from the freeware Recuva and the Windows Style changes can be made from some registry tweaks which are easily available on the Internet. Also the utilities like program deactivator, 1-click boosting, additional antivirus are mere gimmicks which have no real use. SEE ALSO: How to Recover those Deleted Files in Windows. What do you think you want – Nero. What you need – Burn4free, CDBurner XP, Imgburn. Most people use Nero or other paid software to burn files onto DVDs or CDs. However, ImgBurn or CDBurnerXP are free software that do the same work as that of Nero without being bloated and having redundant features such as the inclusion of a music player. The Windows default CD writer is not so bad either when it comes to simple CD burning. File Format Tools: For file format changing, free software such as Format Factory, MediaCoder, SUPER or Any Video Convertor work best for any user. Free software act as worthy alternatives to each category of paid ones and they aren’t low on the feature list also. By using free software, you are not only encouraging more and more developers to develop free software, you are also helping to curb piracy. So, after reading this post, which software did you replace? Do you have any suggestions or do you want free alternatives to any more software? Let us know in the form of comments below. Well I always opt for paid software as they cannot get any errors and can be last forever. Thanks for commenting. Well it’s true that paid software get more developer support and the chances of having an error is less, it isn’t that free software are always buggy, in fact, I have never encountered an error while working with any of the software listed in a post. Me also agree with the paid software to get the full advantage. I don’t understand why people are using Windows or Mac. We get everything in Linux platform. If you need to use Windows software then you can use wine. Why they use such kind of patch or crack software? Yeah, I agree with you. We also prefer Linux operating system. If you want to use Windows or MacX then first checkout if there is any free software available which fulfills your need, if not then go with paid software. Well, I also using Free software like avira free Personal, Avg Free, etc. It is enough for me than i buy paid software. I did not find any difference between free and paid software, as all the software we use are free even some are pirated software (e.i. windows 7, Microsoft Office Package, Dreamwaver CS4, Adobe Photoshop etc). I guess it really depends on what you need and want. For image editing and video editing, depending if its very basic or not, it’s probably worth shelling out the extra money. I believe that free software’s are better. Once I accidentally deleted a file on my pc, but I wasn’t able to recover it with “TuneUp Undelete”. But then my friend told me about “Revuva” and finally with recuva I was able to recover that file. I think most people’s main concern with anything that is free is security, I know that’s my main concern. I usually try and use the paid version of anything, just because of this. You mentioned cloud computing and that is one area of virtualization that is growing rapidly where I wonder about security. Of course there are plenty of security solutions out there, but really, when something get’s big enough to where a lot of people rely on it, security will always be an issue. Well, I have tried using Open Office.org before and it was cool. I haven’t had much problems about it. If I ever did, then I guess that it was just normal and what you need to check is your computer. In some cases there is no much different between free and paid though most often we think that the free ones bring trouble. I would say Paid software always wins the race as it fulfills most of our requirement but most of the time we can’t afford the paid software. So in such case cracking the software will be the best option. If you want to use software for long time in secure way then paid software is the best option for you to get full access of all functionalities and provides security also. I used the paid version of Viper antivirus. I am happy by using this antivirus. Paid version is really very good. As for video editing software – free video editors are much worse than paid ones! Paid Software always have advantage over the free ones. So its upto the user if you still comfortable using free version then you can use tools to extend the trial period and can run the free version forever. This topic clears everything about a free and a paid one and its now upto the user to select the right one. These days many people are just trying to download Paid softwares from torrents and using cracks to make them Full versions and that is how most of the viruses enter our computers. There are hell lost of Opensource software’s available on the internet. If we make use of all of them. There is no need to use any paid versions in most of the cases. Openoffice could not be a replacement to MS office, it’s far from it’s qualities and MSoffice is much simple and has a large community for help! hm. i also use tune up utilities. it has increase my pc performance. i have also used ccleaner and others thing! Now I use both FREE and Paid software! Some FREE softwares maybe better than paid software. Depends on the software for me. When it comes to Anti-virus, it’s definitely paid. Really a nice post on free or paid softwares. I also use some free softwares like avast antivirus. Yes, it is good as paid but not best. Many people think to have genuine software but the price make them to download pirated from torrents sites. I personally don’t like to this as a programming student because the hard work of the programmers just go in waste. So I will tell all not to use pirated softwares. Go for free one instead. it depends on the user requirements that if they have money then paid software’s are good because these software’s give good protection as compared to free ones. I think it’s stupid to rely on free software for anything important. In my experience, free software is either (1) a vanity project (2) someone can’t find a job and hopes their free software will get them one, somehow (3) a scam, or (4) they are trying to build a customer base for when they eventually think their software is good enough to charge for. These are all stupid reasons. Personally, I make it a point to never buy any software from anyone who also gives away free software or advocates for free software. (Unless of course they want to “open source” their bank account to me and give me lots of free stuff like free cars, free food, etc.). Of course, from the point of view of the software industry, any time you give away software, you are basically saying it has no value. Which means the programmer’s time has no value. Which means the programmer has no value. Nice going, stupid programmers. That was a nice set of differences between paid and free software. First of all one should go for fee or trial and then one should buy the premium ones. Thanks a lot for your free and paid software post. At first I use only demo version. If I feel this software is comfortable for me then I buy paid version. I am using always paid software because paid software are very comfortable. So I will always suggest you to use paid software. For me, I got to admit I prefer free software if available, especially there is a lot of open source type of software available. But I talk about security software like antivirus I always prefer a paid software. At first I want to use trial version. If it will work fine then I will buy paid version. Generally we use free software but in this free option we don’t have many other facilities. That is why we need to be use Paid version for getting more advantage. Generally I used the paid version of Viper antivirus. I am happy by using this antivirus. Paid version is really very good. Very well and informative post. Hopefully, newcomers will know here about free vs paid software, thanks. Actually the upgrade version is really great and many part of this are not available in free option. Sharing your informative information of paid version is good for new known people. Thanks Naim :) Yeah, Paid software offer great features.